Navigation, 19" Wheel Package, Right Color Combo, Super Clean!! 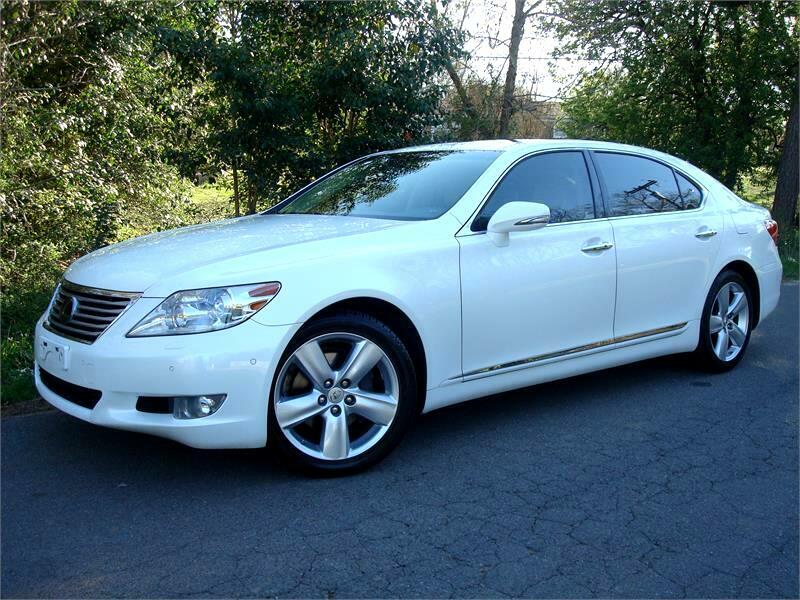 The 2010 Lexus LS460L is a large, handsomely equipped luxury sedan. Making use of a 4.6 liter V-8 engine paired with an 8-speed automatic transmission, the 2010 Lexus LS 460 storms with 380 horsepower, added to decrease fuel consumption during idling, Smart Stop Technology is incorporated with the 4.6 liter V-8 engine reducing power to help facilitate braking. Accessing the interior compartment rich with leather upholstery and woodgrain trim throughout, the 2010 Lexus LS 460 offers standard 16-way power driver's seat, an multi-information center console display with Bluetooth, moonroof and HomeLink transceiver. The Lexus LS 460L features power rear sunshade, Intuitive Parking Assist and climate control front seats. This LS460L is shown in Starfire Pearl with the 19" appearance wheels! Car has just had service completed & recent tires! Super sharp! !